Nuestra expedición comienza cuando partimos hacia la ciudad de Rawson, Capital de la Provincia, donde realizaremos el Emocionante Avistaje de Delfín Patagónico, pequeños delfines endémicos característicos de nuestra zona. 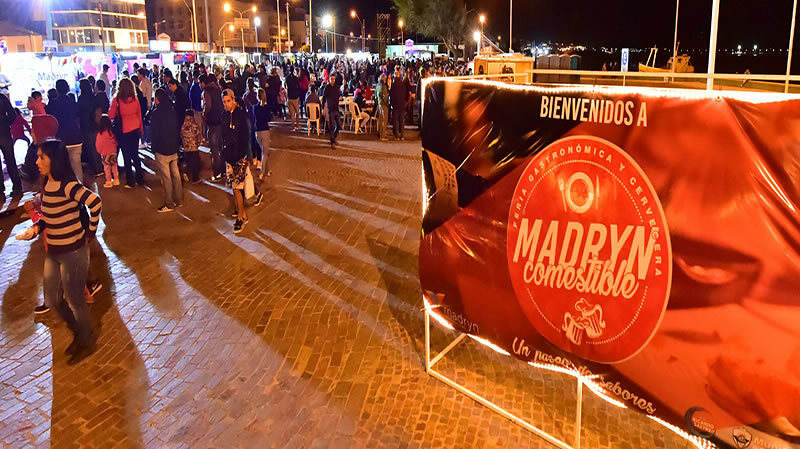 La salida se realiza desde el puerto de Rawson, típico puerto pesquero. Primeramente navegamos la desembocadura del Río Chubut, deteniéndonos a poca distancia de una pequeña colonia costera de lobos marinos del sur (Otaria flavescens). Luego salimos a las aguas del Océano Atlántico en busca de las toninas overas (Cephalorhynchus commersonii). La excursión nos permite observarlas en su hábitat, compartiendo momentos únicos con ellas. De igual forma durante el paseo se podrán avistar aves como el ostrero, cormorán real y biguá, pato crestón y cuchara, gaviota cocinera y capucho café. En determinadas épocas se observan además, distintas especies de gaviotín, así como garzas brujas, cauquenes, rayadores, y otros. El viaje es guiado en todo su recorrido por un guía especializado en fauna marina y personal bilingüe. Nuestro recorrido continua hacia el sur hasta llegar, luego de unos pocos kilómetros de ripio, nos encontraremos con una playa inhóspita donde luego de una caminata de aprox. 4km podremos ver a los intimidantes Elefantes Marinos del Sur, mamíferos de hasta 4 toneladas que se acercan año a año a estas costas para procrear y mudar su piel. OBSERVATION: AVAILABLE FROM OCTOBER TO FEBRUARY. THE NAVIGATION DEPENDS UPON THE WEATHER CONDITIONS. DOES NOT INCLUDE LUNCH. MINIMUM 3 PASSENGERS. Our expedition will begin when we leave Rawson Town, the capital of the province, where we will enjoy exciting Patagonian Dolphin watching, and the small endemic dolphins typical of our area. The departure will be from Rawson Port, a typical fishing port of our area. First, we will sail the mouth of the Chubut River, stopping at a short distance from a small coastal colony of southern sea lions (Otaria Flavescens). Then we will go to the waters of the Atlantic Ocean in search of the Toninas Overas Commerson Dolphin (Cephalorhynchus Commersonii). The excursion will allow us to watch them in their habitat, sharing unique moments with them. In the same way, during the tour, you will be able to see birds such as the Oystercatcher, Cormorant and Biguá, Crestón Duck and Spoon, Cook Gull and Capucho Café. At certain times, different species of birds can be watched, as well as Garzas Brujas, Cauquenes, Rayadores and others. The tour will be conducted throughout the trip by a specialized guide in marine fauna and by bilingual staff. Then we will make a small coastal tour through Playa Unión Town, where we can optionally take delight in the typical seafood (fried squid rings, prawns, etc.). You will have the option of taking your own snack or having lunch at the restaurant . Our route will continue to the south until we arrive, after a few kilometers of gravel road, at an inhospitable beach where, after a trek about of 4km, we will see the amazing Sea Elephants, their weight is about 4 tons and they arrive, year after year, to these shores to breed and shed their skin.